How to dispose of your fridge in an eco-friendly manner? Be it due to malfunction or the changing needs of your household, there might come a day when you’ll need a new fridge. Which raises the question: what to do with the old one? And more importantly, what can you do to dispose of your old fridge in a responsible manner that does not harm the environment? And if this comes as news to you, yes, most fridges are made with substances that need to remain contained lest they contribute to mankind’s continuous ruination of Mother Nature. Before we get into how you can get rid of your fridge without slowly killing the planet, at Junk Bunk LTD, we think it would be helpful if you understand exactly what is the risk at hand. It’s a fact that more than 50 million tonnes of electronic waste is produced every year and adequate know-how is absolutely mandatory. Basically, the insulation materials of models made before the year 2000 contain substances that affect the ozone layer of the planet’s atmosphere. Their chemical names are a bit of tongue-twister: Hydrochlorofluorocarbons and Chlorofluorocarbons. Or HCFCs and CFCs for short. They are not toxic, nor flammable, and they were widely used in several industries. Until people figured out that Ultraviolet radiation broke them down which caused the release of the chlorine particle and this affected the ozone layer in a negative way. And you know, ozone is important for all life on Earth, and the negligent use of these chemical compounds is banned. That’s why it’s ever more crucial to get a decent installation in the first place, so de-installing it won’t pose any unwanted risks nor’ hazards when time comes to get rid of the unit. Does your refrigerator contain substances detrimental to the environment? Well, if the unit in question is an old one, especially if it was manufactured before 2000, then it probably has the harmful chemicals in question. Just to be sure, you can check its information plate which should show the information such as serial number, who manufactured it and what kind of refrigerant it has. If you see the codes R11 and R12, then it contains CFCs! All refrigerating units that contain ODS (ozone depleting substances) such as HCFCs and CFCs, should be scrapped in a controlled environment. There is a fine of up to £2,500 and grounds for prosecution if you fail to comply with this regulation. You can learn more here. The Waste Electrical and Electronic Equipment regulations for Recycling and Recovery. This legislation compels all parties who handle refrigerators to recycle or reuse them whenever possible. You can learn more here. According to the so-called Duty of Care act, every household is responsible for the waste they produce (not just fridges) and must see to its correct disposal. Any negligence of this is considered a violation of the law and leads to liability. Learn more here. Alright, now that you understand what exactly is at stake here, let’s take a look at what you can do. Sell or simply donate your old refrigerator. Of course, if the appliance works perfectly fine, then you can simply give it to a friend or a relative. On the other hand, if it is both fully functional and visually unaffected by wear, then there is a good chance that some second-hand dealer will express their interest in it. But if you are more after a financial gain, then you can bypass the middleman and directly sell it to somebody. Depending on your location, search for local Facebook groups and communities oriented towards reselling household goods, furniture and appliances. And last but not least, simply donating it to some organisation or a person in need would be wonderful. Search for a Household Waste Recycling Centre near your. A quick web search should tell you where is the nearest facility that specialises in the disposal of household appliances and other electronics. If you have a suitable vehicle to load the fridge, then you can make the trip yourself. Friendly tip: However, be careful when you’re loading the refrigerator. It’s bulky and heavy so don’t handle it on your own. Ask the council to lend you a hand. Your local authority can offer a solution to your situation so make sure to contact them. Some boroughs in London charge around £40 for such a disposal service. While it may not cost you an arm and a leg, there is no telling how long you’ll have to wait until they pay you a visit. It might be a couple of days or a couple of weeks even. And probably you will have to get the fridge out of your house or apartment yourself and situate it on the street where they can collect it easily. 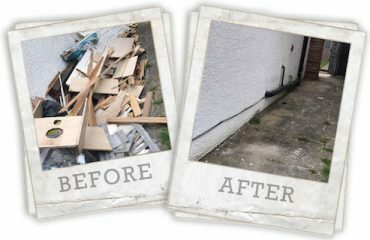 Hire a waste removal company. Of course, you can resort to the services of a company that specialises in collection and disposal of household refuse such as Junk Bunk LTD. While the rates of companies are a bit higher than those of the councils, you can expect a swift response. There are even a few service providers that are able to dispatch a team of junk collectors for a same-day visit. But probably the best part is that they will handle all the heavy lifting for you. But while all this is great and convenient, there is something very important that you have to do before you book a service from any given service provider. And it is this: make sure that the company is legitimate by checking if they are registered with the Environment Agency. In other words, as a citizen, you are compelled to adhere to the Duty of Care and make sure that even if another is handling your refuse, they will do it properly. Believe it or not, there have been cases of rubbish collectors who have collected somebody’s junk, because they refuse, only to leave it on some street so they won’t have to pay the disposal fees. Store it till you ask around for friends in need of professional disposal too. If a same day disposal service is not crucial, than you could take some time find a friend, who’s appliance is set for disposal too. Look out for the closest storage unit and leave your fridge there for a week or two to avoid any health hazards at your garage or garden shed. Fresh startups such as What Storage can help you find the nearest unit available and It won’t cost you more than 15 quid, to store a single fridge freezer for up to a week. Responsible disposal accomplished. What happens to the fridge? Alright, let’s say that everything went according to plan and your old fridge is now going to be recycled the right way. This means that it will be taken to a specialised facility where the unit can be dismantled safely, without the risk of CFCs and HCFCs escaping into the atmosphere. 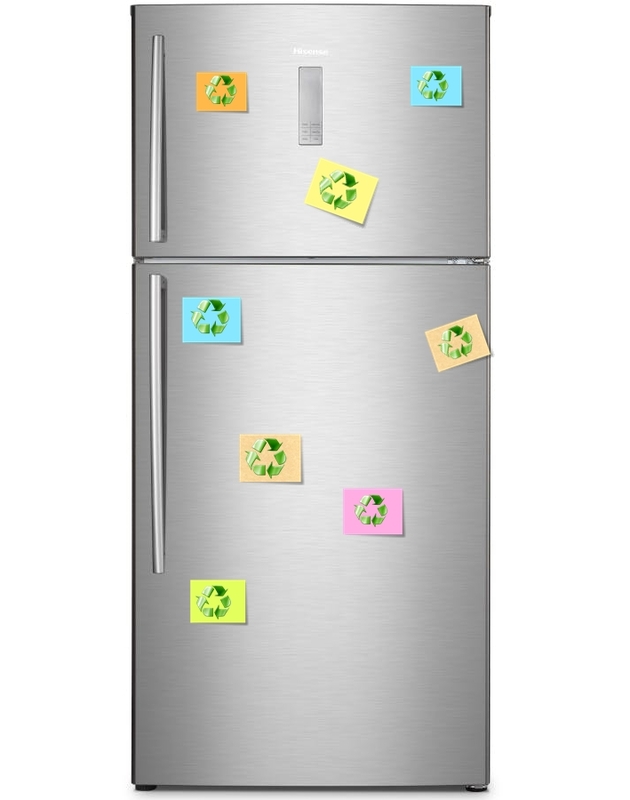 No matter the type of refrigerator, about 95% of the materials a unit is made out of can be repurposed. Usually, the appliance is dismantled in a sealed chamber where the escaping gases can be safely isolated. Then the appliance is taken apart and the different materials are distributed to their respective recycling funnels.